People Plus - INC-003. Vinyl EP. Bleep. 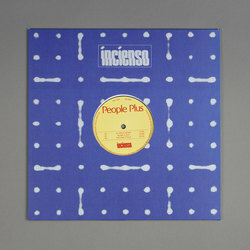 Incienso go further down the Reggaeton wormhole with this killer three tracker from People Plus. Mirroring the sheer sidewinding dimension intrusion of DJ Python's nu-ground breaking debut, INC-003 rolls along with some slow-motion keys and Fett Burger UFO style baselines. Shot out of nowhere and sure to be ranked high with the house heads.